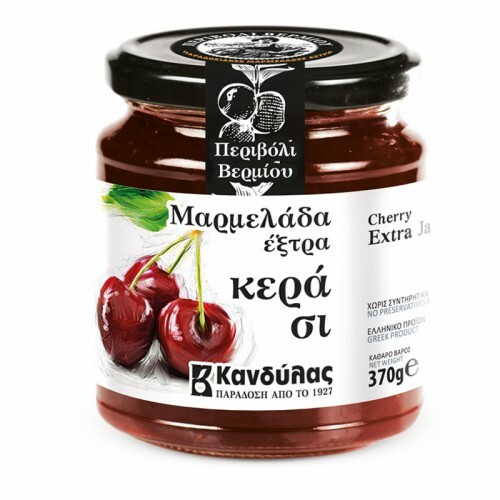 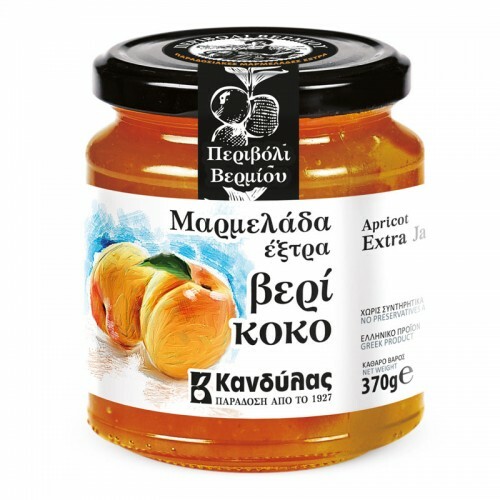 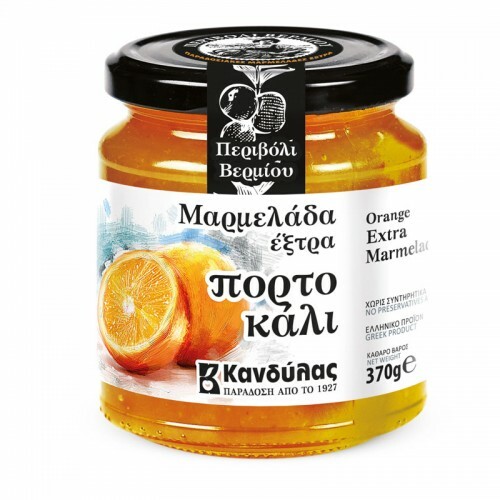 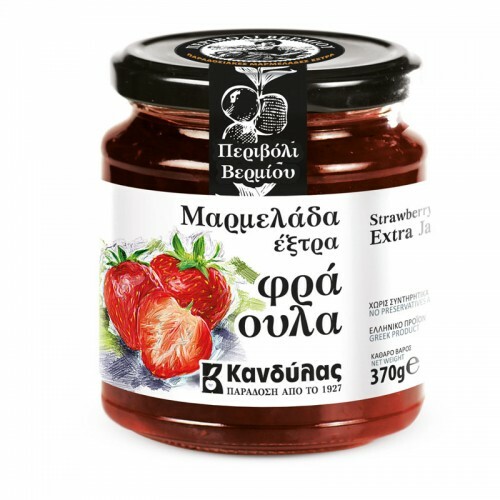 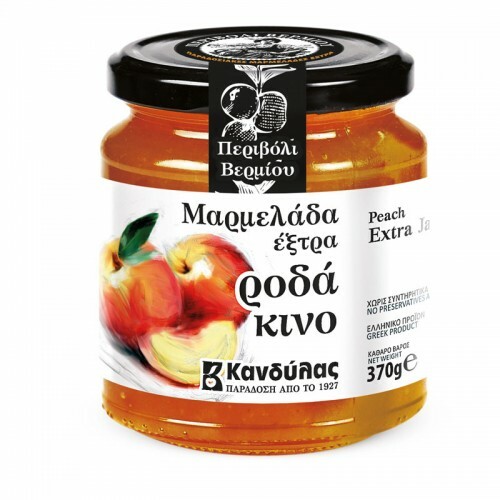 Jam Harvest Mountain Vermion – Kandylas produced with perfect and high quality fruits chosen from Greek regions. 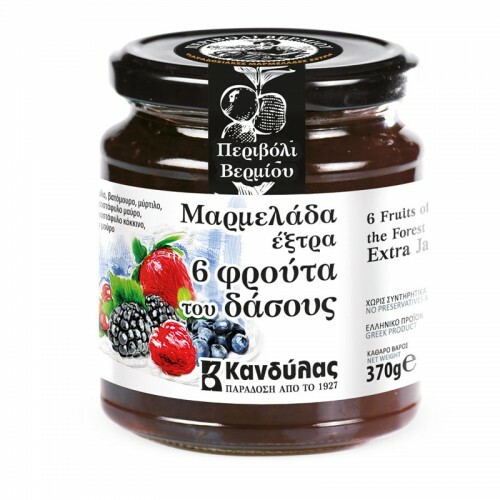 It is extra Jam due to high percentage of fresh fruit over 55% and without preservatives. 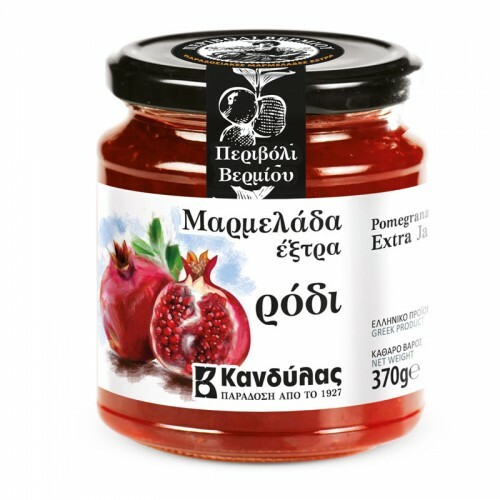 There is a big range of flavors like the big range of Greek fruits. 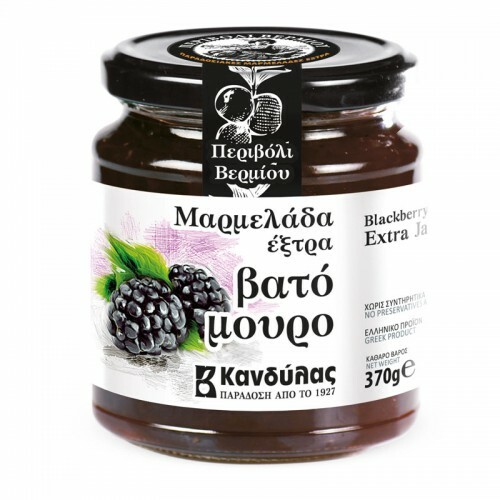 You can enjoy our jam in breakfast or sweet pastry creations in many glass packages like 30g, 230g and 370g or for professional use 6kg.